Many beginners and intermediate lifters have trouble building sizeable arms. In this article I’ll give tips and advice for those who want to build an inch on to their arms in just a month. Audit these parts of your routine and you’ll be on the route to serious aesthetics in no time. Training intensity is key to building up any lacking body part. What is your training intensity like? How long are you resting between sets? Many of us are shorted on the potential gains we could be making. Take shorter rest periods. You won’t be getting optimal blood flow if you let that blood recede from the muscle by taking long rest periods between sets. Take 45 secs to a minute rest, no more than that. You need to be sweating and yes it will burn. Work hard for your gains, and mentally focus on the muscle being worked. Don’t sell yourself short! How often do you train the body part and how much rest do you get in between? Most people over train their arms, and if you’re messaging me asking “Jeff, I’m hitting my arms all the time, however it seems no matter what I do my arms won’t grow” it’s likely you fit into this category. Many people compensate for their smaller arms by training them too often. Training your arms everyday won’t make them grow, and rest is when you’re most anabolic. Don’t listen to those brofessers that will tell you otherwise. Train arms 1-2 times a week with extreme intensity. Remember, your arms are actually getting hit far more often that this in a regular split routine as they come into play when you’re performing chest and back movements, too. Learning to control the variables in your arms workouts is key. Rep tempo – Think about time under tension and focus on the downward portion of each lift. The muscular time under tension is vital to muscular hypertrophy and shaping the muscle in an aesthetic fashion. Keep the tension on the triceps and biceps for a minimum of 30 seconds. Your set can last up to 2 minutes! Drop sets – This is a great way to manipulate the variables, it’ll keep more tension on and overload the targeted muscle. Super sets – By supersetting opposing muscles, you can utilize the stretch reflex response. By doing so you can generate more blood flow and create a larger stretch on the arms. The pumps will be massive. Range of motion – I see many gym goers hit half reps on arms, none of them seeing optimal results. Don’t cheat yourself and stretch the arms fully on each rep, making sure you engage all the muscle fibers. Audit the weights you are using and ensure they aren’t too heavy to perform a full range of motion. The key to biceps – Elbow positioning is important. When strict curling a bar or dumbbell, make sure your elbows stay stationary. Preacher curls are a great way to do this, while standing just be conscious of your elbows. The peak of the bicep is important in any bicep shot. Make sure to do a variety or curling motions to hit all heads of the bicep. To fully hit the peaks, try turning your pinky up and your wrist outward while doing concentration curls. Full range of motion applies to these training principles as well. The key to triceps – The long head of the triceps is very important to creating that lower sweep of the arm during a bicep shot. Doing tricep movements with the elbow vertical to the sky will target this area well. Be sure to squeeze at the elbow when fully extended. Do compound movements! The triceps takes up two thirds of your arms so going heavy on your chest lifts may build some thickness. Stress levels – Stress can contribute to catabolism, learning to manage stress efficiently can improve muscular and overall health. Macronutrient intake – if you aren’t taking in enough nutrients your little arms won’t grow, as simple as that! Choices – Stay away from excessive partying, drug use and alcohol consumption. I’m not saying you can’t have fun but have fun in moderation. Alcohol in large quantities increases natural aromatisation of estrogen and decreases protein synthesis. Have fun but be responsible. Mindset – Train with a specific goal, don’t go in and just bang out sets. Think about what you’re trying to accomplish. In the end there are many variables you can manipulate in your life to get the big arms you’ve always wanted, remember lifting and aesthetics is not just a way of thinking but a way of life. 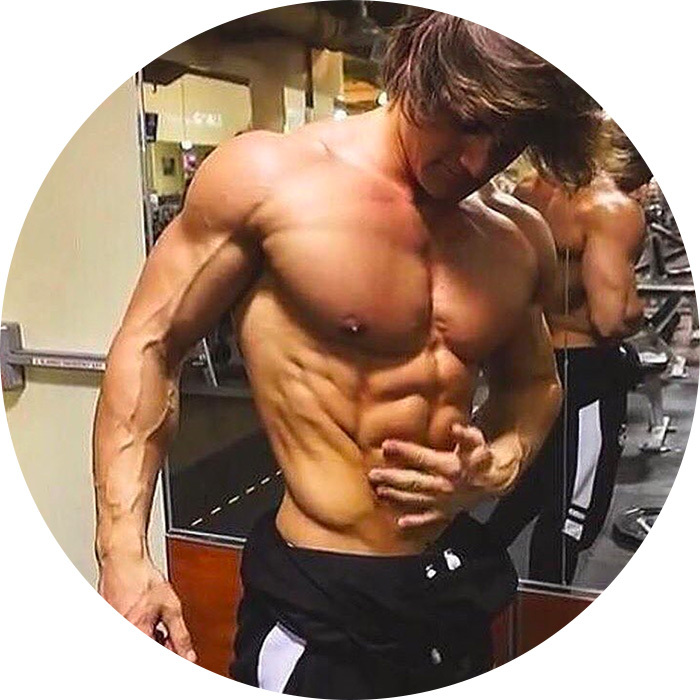 Center your life around your goals and each and every one of you can have that physique you’ve always wanted!